Interval International, a prominent worldwide provider of vacation services and an operating business of ILG (Nasdaq: ILG), announced its agreement with Taupo Ika Nui Resort to provide a broad range of programs and services that enhance the benefits of ownership and reinforce the value of exchange. 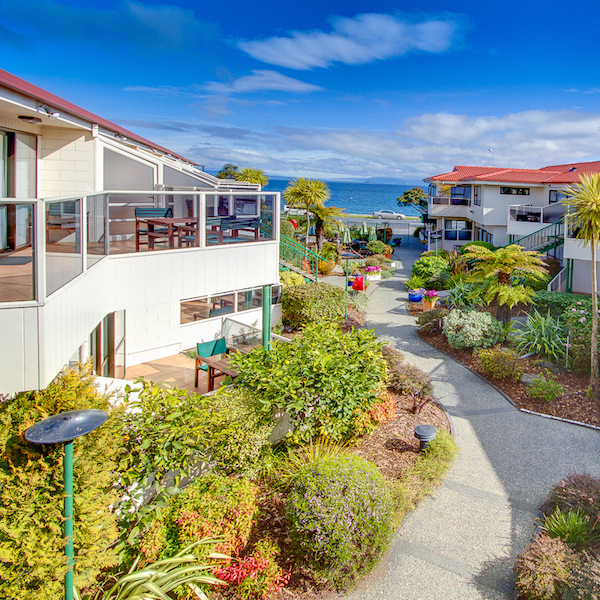 The resort is located in the heart of New Zealand’s North Island and overlooks Lake Taupo, the country’s largest freshwater lake. The property features one- and two-bedroom units with fully equipped kitchens, LCD TVs, and Internet access. On-site amenities include an indoor-heated swimming pool, plunge and spa pools, table tennis, pool table, and a spacious guest lounge. Taupo Ika Nui is a short distance from the restaurants, cafes, shops, and entertainment in the town center. The area is home to Lake Taupo where visitors can go trout fishing, windsurfing, and parasailing. They also can take boat trips to Huka Falls, the most visited natural attraction in New Zealand, or go mountain biking in the Craters Mountain Bike Park. Within the Tongariro National Park, they can hike the Tongariro Alpine Crossing or ski on Mount Ruapehu’s slopes. Lake Taupo is approximately three hours from Wellington and four hours from Auckland. Timeshare owners will be enrolled as individual members of Interval International and also become Interval Gold ® members, entitling them to many flexible exchange opportunities and upgraded benefits and services. These include Interval Options ®, the ability to exchange their resort week toward the purchase of a cruise, hotel, golf, or spa vacation, or a unique Interval Experiences adventure; ShortStay Exchange ®; discounts on Getaway vacation rentals; Golf Connection, for access to select private courses; special amenities with Dining Connection; City Guides, for insider advice; Hertz Gold Plus Rewards ® membership, to enroll and receive a certificate in the post redeemable for one free weekend rental day; Dining and Leisure Discounts powered by Entertainment ®; and VIP Concierge SM, for personal assistance, 24/7. Interval International operates membership programs for vacationers and provides value-added services to its developer clients worldwide. Based in Miami, Florida, the company has been a pioneer and innovator in serving the vacation ownership market since 1976. Today, Interval’s exchange network comprises nearly 3,200 resorts in over 80 nations. Through offices in 15 countries, Interval offers high-quality products and benefits to resort clients and approximately 2 million families who are enrolled in various membership programs. Interval is an operating business of ILG (Nasdaq: ILG), a leading global provider of professionally delivered vacation experiences.